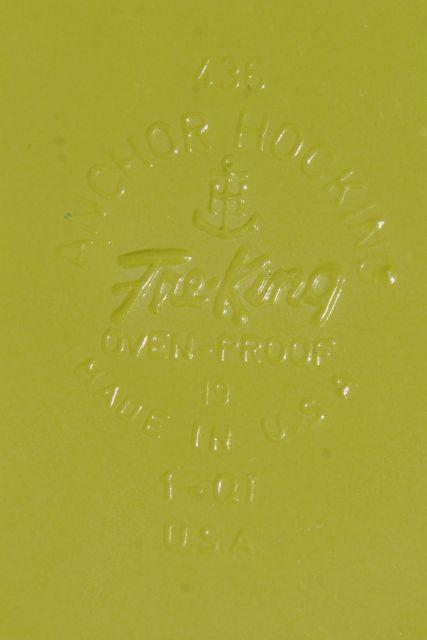 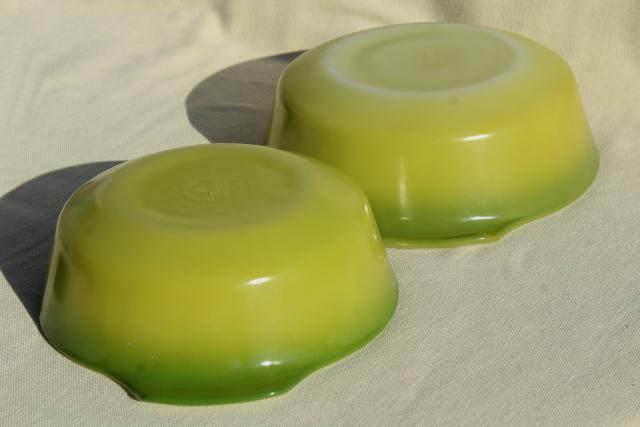 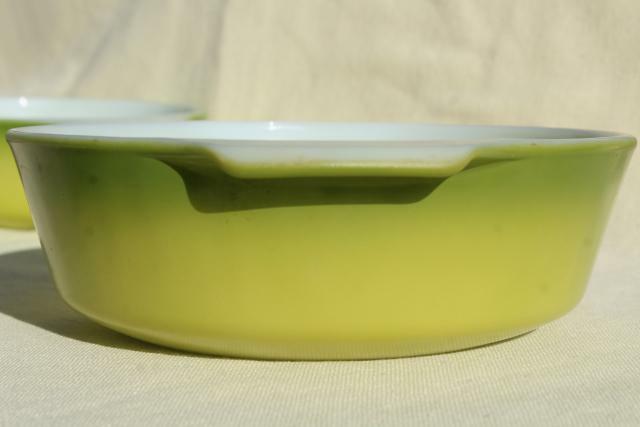 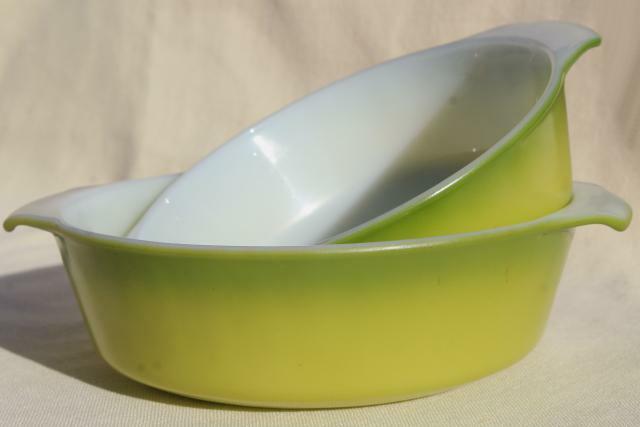 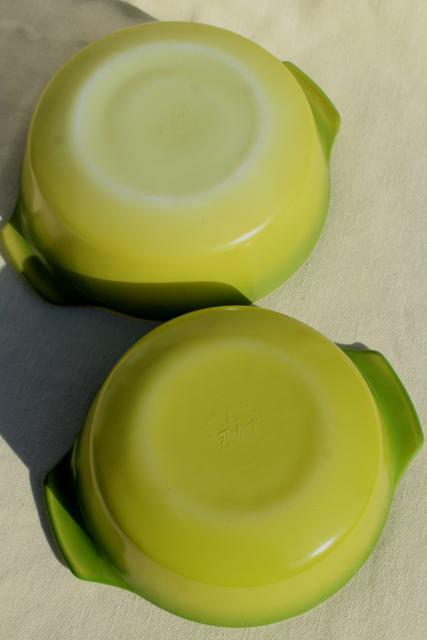 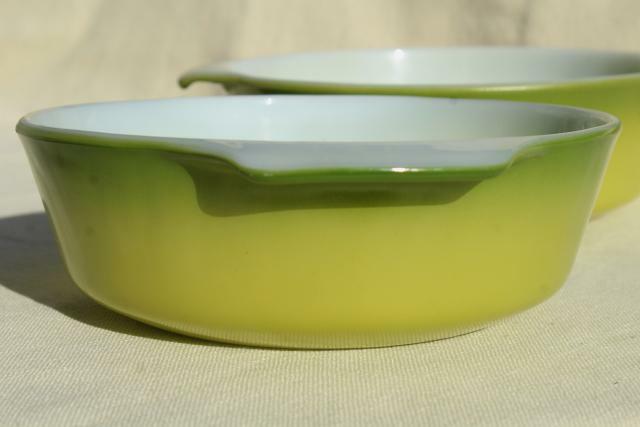 Mod vintage Anchor Hocking Fire-King glass casseroles in lime green shaded color - these are so retro, 60s - 70s style! 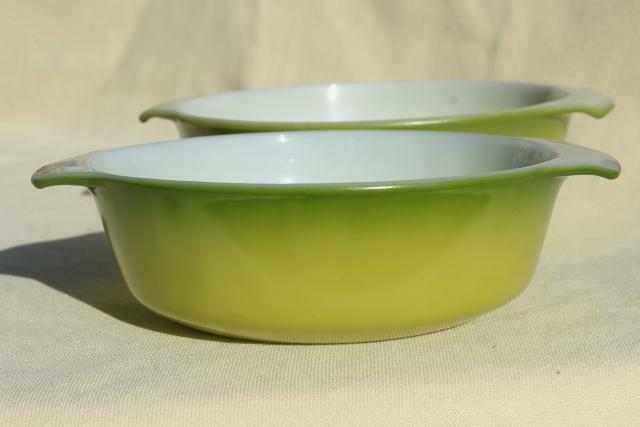 Sizes are 1 1/2 quart (8 1/2" bowl diameter) and 1 quart (7 1/2" bowl diameter. 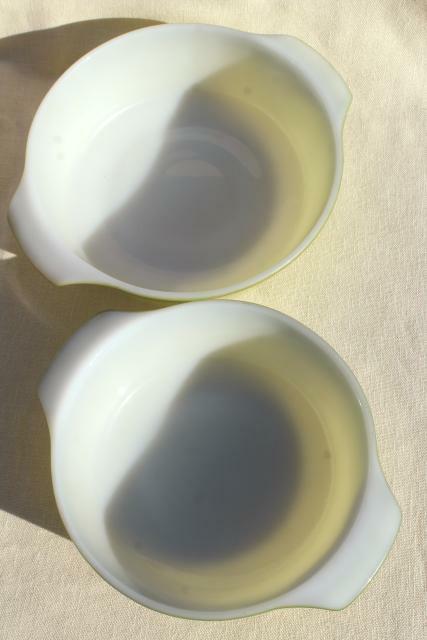 These are both is good, gently used condition. 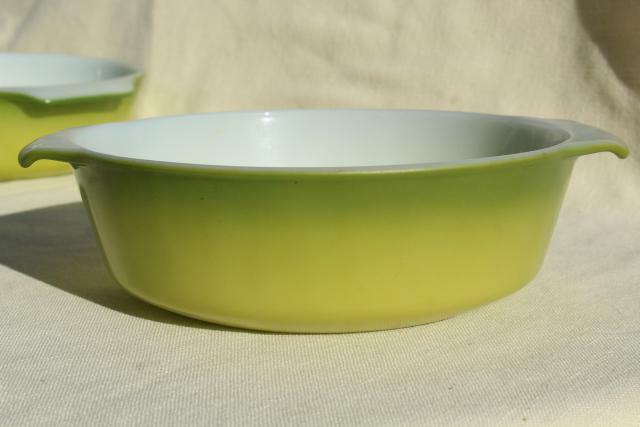 Very minimal color wear or scratching, no chips, cracks, or dishwasher damage.